The South Pacific is more than a dream destination; it's also a fascinating getaway where families can share activities, strengthen bonds and create memories to last a lifetime. Paul Gauguin Cruises is offering a new way for families to explore this breathtaking part of the world together through a joint program with the Wildlife Conservation Society. During the summer months and holiday season, the Stewards of Nature program is offered aboard the m/s Paul Gauguin. This program invites guests to discover and value nature through hands-on, interactive learning for children and teens ages seven to 17, as well as family members. Every day of the voyage, there is a combination of naturalist-led island and/or beach excursions, science activities, crafts, games and other adventures. Depending on their itinerary, your children might learn about underwater life during a snorkeling excursion, observe the ocean or the stars through binoculars or an onboard telescope, learn about different kinds of marine life and their habitats, reinforce their discoveries by playing Ocean Trivia or Oceanopoly, go on a dolphin-watching expedition, swim with sharks and rays, play beach games and race hermit crabs, enjoy a dance performance or a movie and a pizza party on board and learn what it means to be a Steward of Nature. 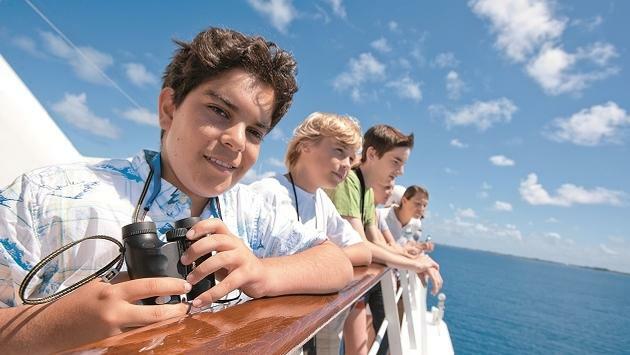 While all of the activities on the itinerary are included for children and teens in the nominal fee that reserves the program for them, family members are invited and encouraged to participate in most activities for the additional cost of the shore excursions. For more information about the Stewards of Nature program, visit pgcruises.com.